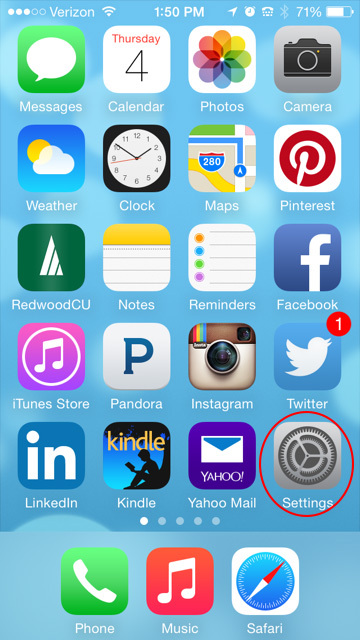 How do I accept or adjust cookie settings and disable pop-up blocker using IOS 8? Changing these settings will assist in allowing Bill Pay, Visa Online Access and First Mortgage Information to show without interruption. This will also assist in viewing Redwood Rewards. Apple has released its new operating system, some of the options and settings will look a little different. When adjusting your cookies, and pop-up blocker, please follow these steps. 2. 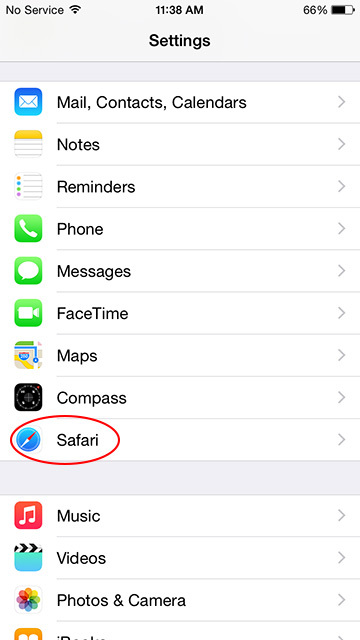 Now Select SAFARI from the list of options. 3. 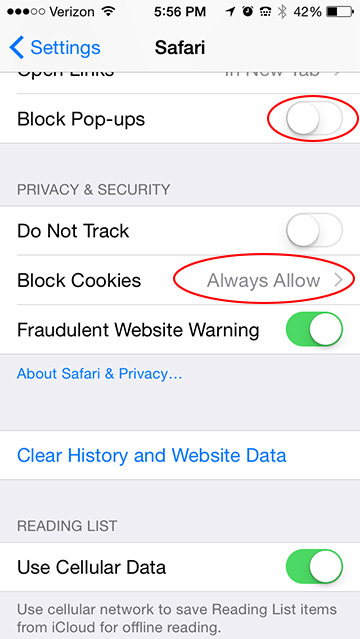 In the SAFARI options, please make sure that BLOCK POP-UPS is disabled, and BLOCK COOKIES is set to Always Allow. 4. Click on the Block Cookies options and choose Always Allow. Note: Once you have visited RCU online banking you can switch your settings to Allow from Websites | Visit. Note: You may need to power off and then power on your device in order for the new settings to take effect. Using the iPad has the same process, but the display does look a little different. 2. Now Select SAFARI from the list of options. 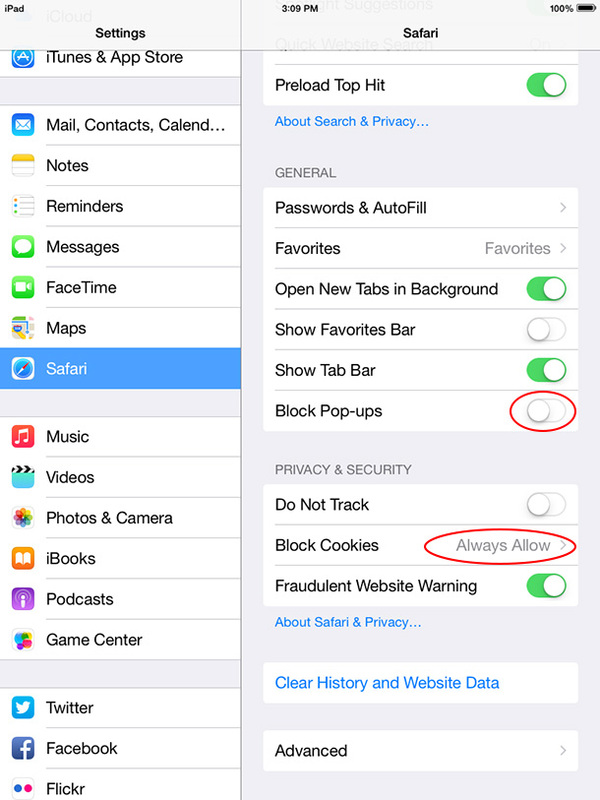 In the SAFARI options, please make sure that BLOCK POP-UPS is disabled, and BLOCK COOKIES is set to Always Allow. 3. Click on the Block Cookies options and choose Always Allow. Safari is blocking billpay with a pop-up blocker. 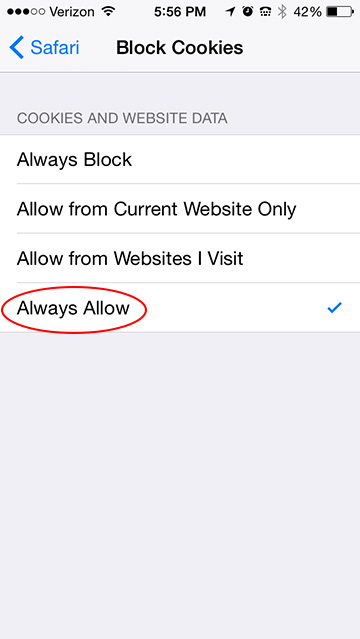 Security settings issues with Safari. How do I change my preferences to allow cookies on a Mac using Safari? 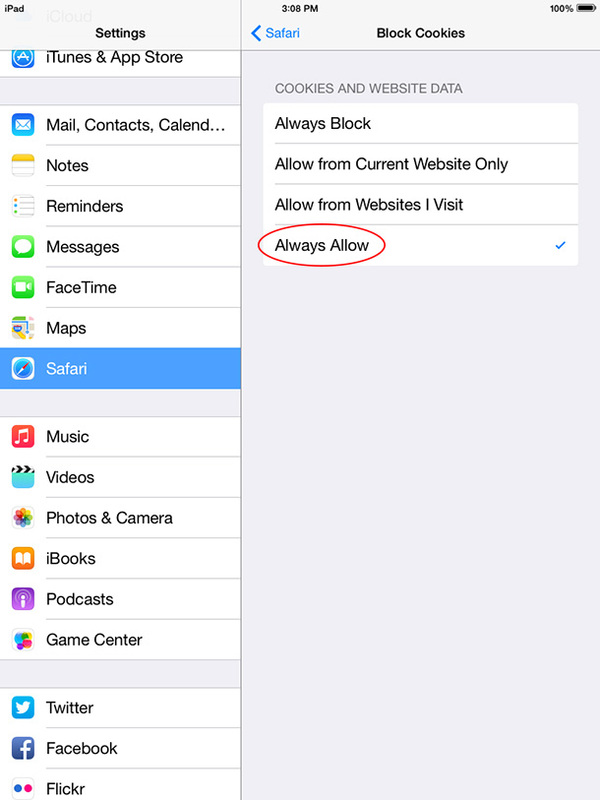 How do I disable the Safari pop up blocker on my iPhone or iPad?